Rice is a versatile food. 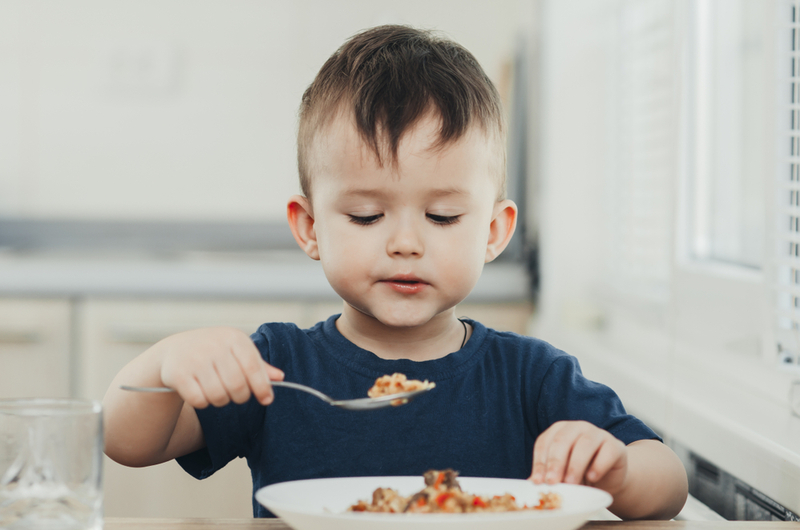 Once the baby becomes old enough to eat solids, the advice which is given by the maximum number of people is to start by giving rice-based cereals. The reason behind this is that the rice-based food is allergen free. Rice comes in different color, sizes, and shapes. In this blog let us evaluate the health benefits of brown rice. Brown rice qualifies as the perfect food for the baby as it is nutrient dense and has great fiber content. What Is Brown Rice? How Is It Differing From White Rice? Brown rice is whole-grain rice with only the husk of the grain removed. It retains the fibrous bran, germ, and endosperm of the grain. It is “unpolished” rice. Once the barn and germ are removed from the same grain, it is called white rice. During this step, some vitamins, minerals, fatty acids, and fibre also get removed. Thus, the difference lies in processing and nutritional content. Brown rice needs more time to cook. However, it can keep babies fuller for a longer time. You can prepare almost all the dishes you made with white rice with brown rice also. However, the taste is not as “neutral” as white rice. Why Is Brown Rice Better Than White Rice For Your Baby? Brown rice is more advisable for the babies as it retains most of its nutrient value unlike the white rice and is also well-suited with other food types. As it is laden with nutrients, it helps to maintain the rapid growth cycles of infants. What Is The Right Time To Introduce Brown Rice To Baby’s Diet? It is good to introduce the baby to brown rice as early as possible so that the baby gets used to its taste as it is nutty in flavour and very different to the taste of white rice. The medical experts suggest introducing brown rice to the baby as soon as he starts his solid intake, which is ideally six months or more. What Is The Nutritional Value Of Brown Rice? Brown rice is more advantageous than white rice when you evaluate its nutrient content. It is rich in fibre and protein content. What Are The Advantages Of Brown Rice For Babies? There are very fewer allergies known to the consumption of brown rice. It helps if the baby is constipated as it has good fiber which helps in loosening the stool. Select organic brown rice for your baby. This way you can make sure it is free of pests. It is always mandatory to check the expiry date mentioned. The grains brown rice can be stored for months in a cool and dry place. Make sure the containers are well-covered and pest-proof. In case the temperature fluctuates (if the atmospheric temperature increases), it is best to store them in the refrigerator in air-tight containers. You can store uncooked brown rice for about six months. Even though tricky, you can store cooked brown rice in the refrigerator for around 3 days. However, we always prefer freshly made food for babies. The bacteria start multiplying very fast in cooked items leading to food poisoning. Also, reheating of cooked food may result in the drop of the nutrients. Only freshly cooked brown rice should be given to the babies. In case of storing cooked brown rice, make sure it is cooled fully and the container is well covered. The temperature inside the refrigerator should be less than 8 degree Celsius. Do not store cooked food for over two days and avoid reheating more than once. What Is The Ideal Way To Make Brown Rice For Infants? The ideal way to cook brown rice is in a cooker and then make a puree before serving the baby. In order to prepare the rice powder, we need to mix about 1/4 cup of the brown rice in about 2-3 cups of water and keep stirring in order to avoid lumps. Does Brown Rice Pose Any Risk? The brown rice has a certain amount of arsenic which could cause allergies, however, medical experts believe that the consumption of brown rice offers numerous health benefits that offset the risks. The babies can suffer from some sort of allergic reactions in a condition where wheat is included in brown rice as well. Sometimes even simple brown rice leads to allergy due to traces of arsenic in it. It is thus advisable to keep introducing all types of new foods giving a four days gap to figure out of any food allergies or digestive issues cropping up. Take 2 dried apricots and soak them in water for almost an hour in order to make them soft. Blend 1/4 cup of brown rice, a pinch of nutmeg, 1/2 small ripened banana, and the apricots. Roast 1 cup brown rice and 1 cup green gram one by one. Blend them to a powdered consistency once cooled. Cook after diluting 2 tbsp. of the porridge made in about 200 ml of water. Add 12 tsp salt, sugar or ghee to enhance the taste. Mix together 1 cup cooked brown rice made in a paste with 1/2 cup of dry fruits, a little more than a pinch of nutmeg powder, about 2tbsp. maple syrup, 1tbsp. butter, 1 ripe and chopped banana. Cook all of these for about 30 minutes on low flame till the liquid gets absorbed. Thus, it can be said that the brown rice is nutrient-dense and it can be used in many kinds of recipes, in all different combinations whether khichdi, porridge or pudding and thus it is highly beneficial for the baby’s diet. However, it would be prudent to have a word with the medical practitioner before introducing it just to get a go-ahead from an expert. After all, the parents need to have an assurance that any new thing that is offered to the baby does not only have nutrition but are safe and liked by the baby as well. Previous ArticleIs Cassava Roots (Tapioca) Safe During Pregnancy?